The Super Bowl. A game where people come together to watch their favorite team beat the other guy. Or watch a team they like beat a team they don’t like. Or in my case, watch two teams they don’t like play a rematch of a Super Bowl game that happened just four years ago. Yeah, the New York Giants vs the New England Patriots. It’s not ideal, it’s pretty far from it… I actually can’t think of a worse possible outcome, but regardless, I’ll be watching. And hopefully before game time I can be nudged centimeters to one side or the other so I can root for someone. I’ve made it a habit of making posters for the Super Bowl for the past few years, and so I did again this year. Whether or not you like football, watching the Super Bowl is fun. But I find it hard that people don’t like football. Kid: Mr. Street, do you think God loves football? Jason: I think that everybody loves football. 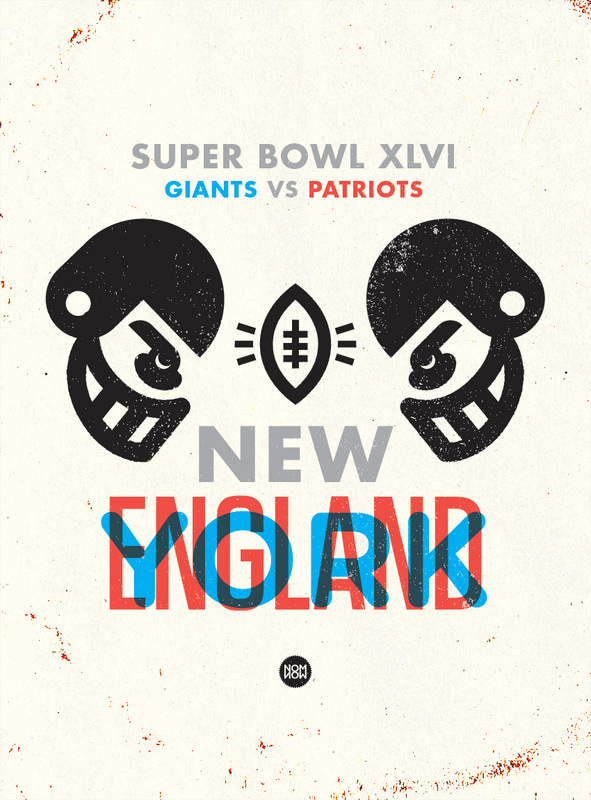 This entry was tagged Eli Manning, football, Friday Night Lights, Giants, I think that everybody loves football, Jason Street, matt goold, New England, New York, Nom Now, Patriots, Poster, Quote, Super Bowl, Tom Brady, XLVI. Bookmark the permalink.